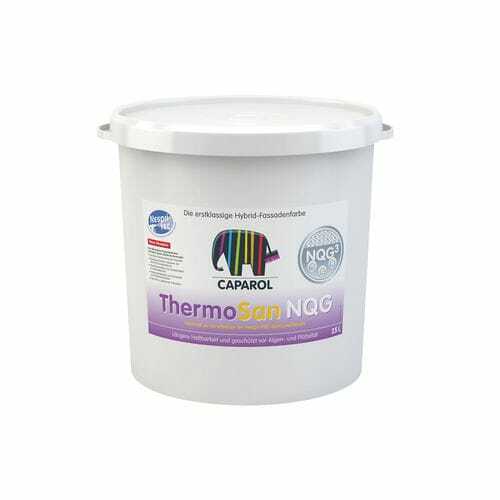 For efficient application within the special, mist-free Nespri-TEC spraying method. The paint with an essential benefit: Organically cross-linked nano-quartz particles form a compact, mineral-hard, three-dimensional quartz matrix structure against soiling and keep facades clean for a longer period. The special silicone resin/binder combination provides rain-proof, highly water vapour permeable facade paint coatings, allowing fast drying after rainfall and when moist with dew. 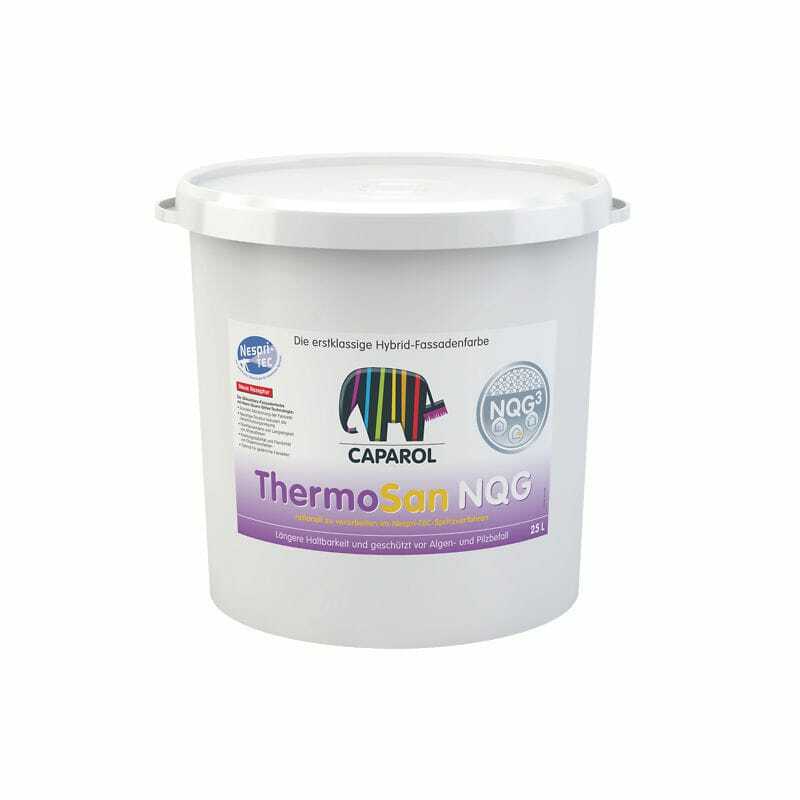 ThermoSan NQG Nespri-TEC is suitable for coating mineral renders and for renovation of stable, adherent silicate paints, matt dispersion/emulsion paints, synthetic (organic) renders and intact external thermal insulation composite systems (ETICS/EWI systems).